Autonomous is a simple, elegant little story of political rebellion, emotional connections we establish with others, and the cultural expectations that define who we are. From a very simple premise, Newitz explores some deep issues, all the while entertaining throughout. The book follows patent-pirate Jack on her mission to bring affordable medicine to those who can’t pay the bloated prices pharmaceutical companies set. To pay for this life, Jack reverse-engineers and sells party drugs. As noble as her goal might be, it is a line of work that entails great risk. But her downfall turns out to be something she hadn’t considered. Zacuity, the latest must-have drug Jack puts out on the streets gives users a sense of purpose: they start to love what they do. Unfortunately, the drug is not just a great way to kick procrastination to the curb. The drug is so effective that it causes users to become addicted to their work to the point where they literally work themselves to death. Jack must avoid the authorities long enough to help those she put in danger in the first place. And while she’s at it, she will happily take down big pharma. Science fiction is at its best, I think, when tackling social issues. The trouble is, it isn’t an easy thing to do well. Standing on a soapbox and yelling about your ideals is never going to win people over. What worked so well with Star Trek back in the day was that it presented a future with analogous social problems to contemporary Earth and showed how incredibly dumb they were. That’s what Newitz nails in Autonomous. From big pharma’s stranglehold on global health to our views on robotics and consciousness, slavery, academia, and more. While tackling these issues, Newitz never actually gives the reader a definitive decision on them. She doesn’t say that Jack’s way of life is the ‘right’ way to do things, nor does she condemn the enforcers of patent law or those that try to rail against the system within the confines of the law. All are presented as valid options with their own flaws. Newitz’s prose is paired-down and easy to read. It never imposes itself on the story, keeping the language as simple as the story itself. 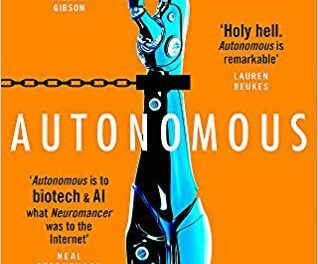 Despite the novel featuring a high-concept world with autonomous robots and true AI, the simplicity of the language keeps it grounded. As a result, none of it – even the most outlandish elements – felt out of the scope of the possible. In addition, Newitz creates wonderful characters. These aren’t characters you will necessarily ‘love’ – in fact, I didn’t particularly like any of them. But each of them feels real. They are all flawed in understandable ways that never fall too far into a stereotype. 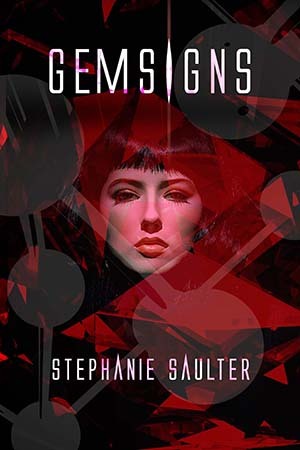 She manages to create both a closeness to the characters while keeping readers distanced enough to appreciate the characters’ flaws for what they are. 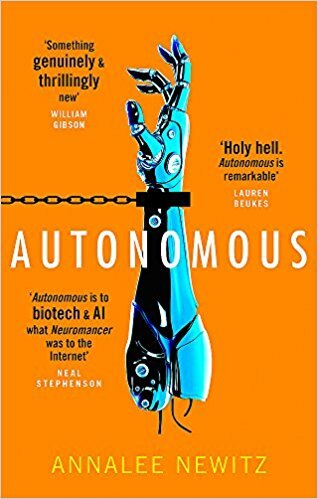 Verdict: Autonomous is great fun and far meatier than such a short novel and simple premise has any right to be. Newitz shows great skill when it comes to taking a very simple plot and creating something thrilling, fast-paced, and full of interesting characters.